← T-shirt Reconstructions, yay or nay? 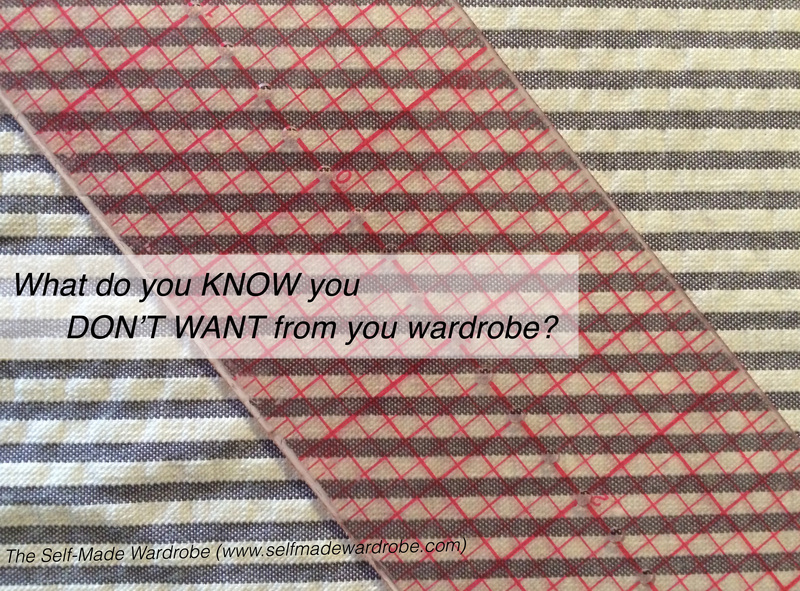 What do you know you don’t want from your wardrobe? I’ve been spending the past couple days writing furiously on the first chapter of the book that’ll accompany this project and I got to thinking about “wanting” and what specifically I want from my wardrobe. One of the ways I think about what I want from a project is by specifying what I don’t want from the project. *a capsule wardrobe is a very contained wardrobe, usually they have a small number of versatile pieces, and every piece works with every other piece. **the paradox of choice is a term for what happens when you have so many choices you can’t make a decision or you make no decision at all. You can read more about it here. You always know what you have, and you eventually find the looks and combinations that work best for you. However, that’s not what I want from this project, and it’s not what I want my wardrobe to be. I love mixing and matching and combining clothes in different ways. I’ve never felt overwhelmed by my closet. I look at clothing as another medium to play with. Trying this and that. I want my wardrobe to be a place to play, but always with the option of coming back to something familiar and easy to throw on. I know that I’ll have a rather limited wardrobe for awhile because making clothes takes time (shocking I know), but I know that my ultimate goal is not a limited wardrobe.